Healthcare management is a rapidly growing field, and the demand for individuals who specialize in this field is expected to grow by 24% over the next 5 years. 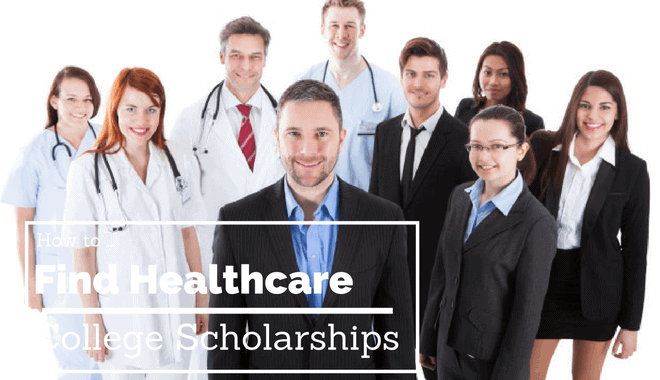 For students who wish to major in this field, finding a scholarship for healthcare management can make the difference between being able to obtain a degree or not. Fortunately, the increased demand for the services of healthcare managers has also led to a substantial increase in the number of scholarship opportunities. Here are 3 top-tier scholarship opportunities from private organizations that you should check out! Richard L. Davis FACMPE National Scholarship – This scholarship can be awarded to either an undergraduate of a graduate student who is enrolled in a degree program that is relevant to the practice of medical management. Harry J. Hardwick Scholarship – This award is open to students enrolled in a graduate program in healthcare administration who maintain a minimum academic standing of 3.0 or higher. Albert W. Dent Graduate Student Scholarship – Open to minority students in their last year of graduate school, the award offers a total of $5,000.00. Students must demonstrate a financial need. Foster G. McGaw Graduate Student Scholarship – Similar to the Dent award, the one primary difference between the two is that you do not have to be a minority member to apply for it. The Stuart A. Westbury, Jr. Postgraduate Fellowship – A once in a lifetime opportunity, this fellowship enables a student to earn more than $44,000.00 a year by working in a meticulously planned healthcare management facility. ACHE Diversity Internship – This award is open to all students who have completed at least one year of graduate work and who can demonstrate plans on how to foster diversity in the field of healthcare management. The NAHSE offers three different annual scholarship opportunities. These awards are given to African American students with the goal of encouraging diversity in healthcare management. Each award is worth $2,500.00, and each recipient is also offered the chance to attend the NAHSE’s annual conference – all expenses paid. Haynes Rice Award – This scholarship is awarded to students who are future leaders in their field. Florence Gaynor Award – This award honors female students who have demonstrated academic excellence. Ellis Bonner Award – This award is provided to older students who can demonstrate a proven history of leadership and academic excellence. On average, those who work as healthcare managers or administrators earn a whopping median salary of $106,340.00. On the downside, you have to finance at least six years of education before being capable of reaching this goal. These top-notch scholarship programs offer an excellent starting point for gaining the funding you need to turn your dream career into a reality.